Residents of Kabwe’s Kamakuti area in Waya ward of Central constituency have passed a vote of no confidence in the PF government accusing the government of failing to fulfil the campaign promises, in as far as reopening of the giant Mulungushi textiles and working on the Kamakuti bridge is concerned. they have also accused kabwe central MP James Kapyanga of being insensitive to their plight. 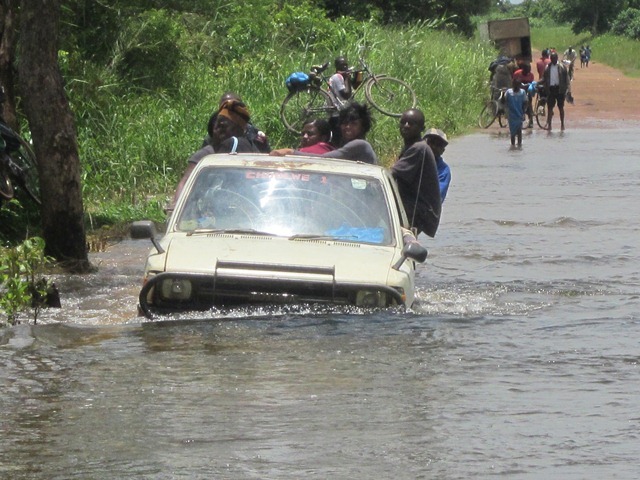 And a check by the Zambian watchdog found the bridge completely submerged in water and making it difficult for school going children to get to Gombe, the nearest basic school and farmers living in the farm block cannot transport their farming inputs. During the run up to the 2011 elections the PF made plenty of promises to Kabwe people and the failure to fulfill these promises has angered residents. “One key promise the government has failed to keep is the re-opening of Mulungushi textiles in order to create jobs for the youths and they were very vocal on this one,” said Kasonde, who is an ex employee of Mulungushi textiles. President Michael Sata, then an opposition leader strongly criticised the contnued closure of the textile industry, he even once made a surprise visit to the factory but after being elected he has opted to remain silent on the project.